Wrong Ideas about Remanufactured Toners | TonerGreen - Eco-Friendly Toners from the U.S. There are a lot of wrong ideas about remanufactured toners which gives hesitance to those who want to purchase this type of inks and toners. Here are some of those that are actually beneficial for everyone. 1. Remanufactured toners just refill the cartridges. This is a make-belief especially on professional and trusted companies that provide this type of cartridges because once a recycled container is received by the skilled technicians it undergoes an extensive inspection to determine the defective parts. When there is a broken part, this is replaced with a brand new one to maintain the quality of the cartridge. 2. This type of toner cannot match the quality of OEMs. OEMs or original equipment manufactured inks or toners are those produced by the printer companies. Some say that remanufactured types cannot gain the quality made by OEMs. With the advance in technology, third party products like this one have already reached the performance of the original models. So, you still get the same quality at a lower price. 3. Inks in remanufactured cartridges are recycled types. This is not possible because recycling the ink or toner will cause problem on the cartridge and printer as well. 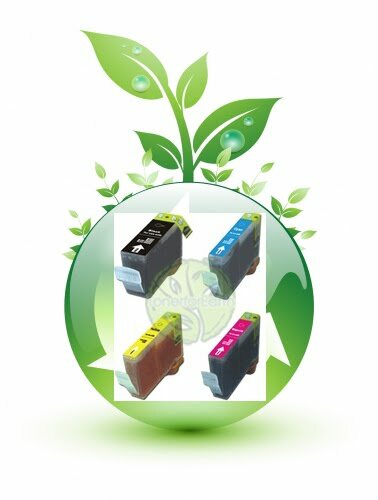 Inks and toners are not recyclable unlike the cartridges so it is guaranteed that using these cartridges won’t damage your printer. 4. Remanufactured toners and inks can remove your printer’s warranty. This is also impossible because a cartridge is not connected from the printer and the warranty of a device does not cover the ink or toner installed in it. You don’t have to worry about losing this benefit at all. You don’t have to believe in all those false issues about remanufactured inks and toners because these items actually conserve the resources and energy used by original ones so you get to help save the nature after all.